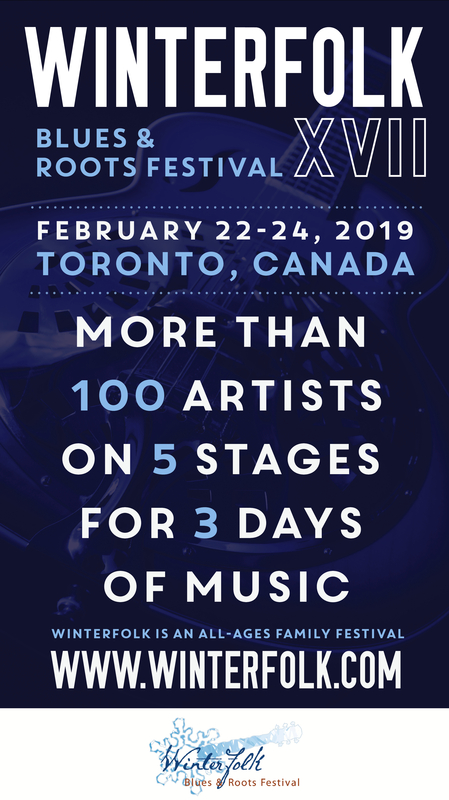 Festival-goers will have a chance to get a sneak preview of what’s in store at the 15th ANNUAL WINTERFOLK BLUES AND ROOTS FESTIVAL when some of the finest folk, roots and blues artists will take the stage at Toronto’s Black Swan Tavern on Saturday, November 26th. 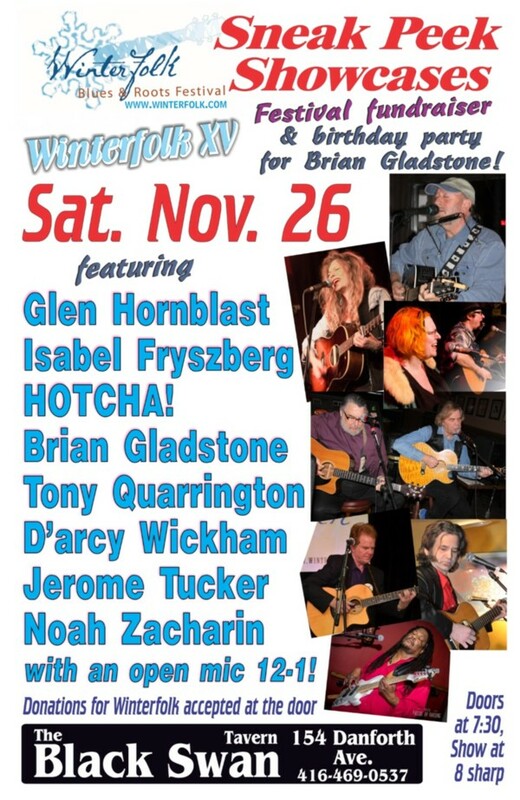 Doors open at 7:30 pm and music starts at 8:00 pm for this event to benefit Winterfolk. 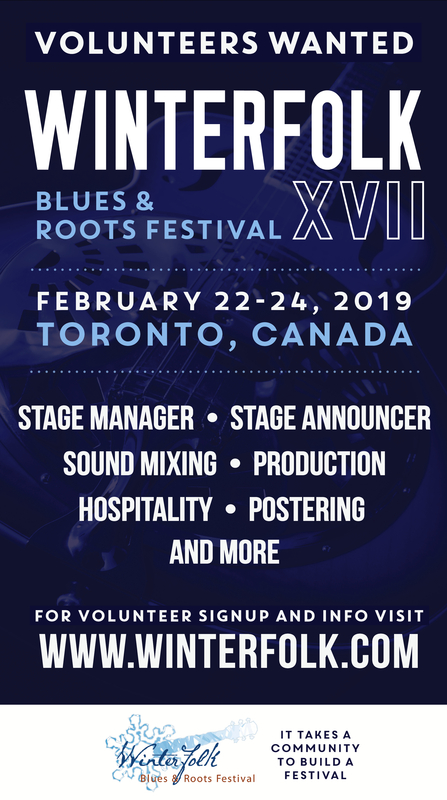 Presented by Winterfolk XV Blues and Roots Festival, the event also serves as a benefit for the festival and as a BIRTHDAY CELEBRATION for festival founder and director BRIAN GLADSTONE. Artists will include Tony Quarrington, HOTCHA!, Brian Gladstone, Glen Hornblast, Jerome Tucker, D’Arcy Wickham and Noah Zacharin.